Development of joint booth for the brands of Nussbaum, ATT and API at the Automechanika trade fair. 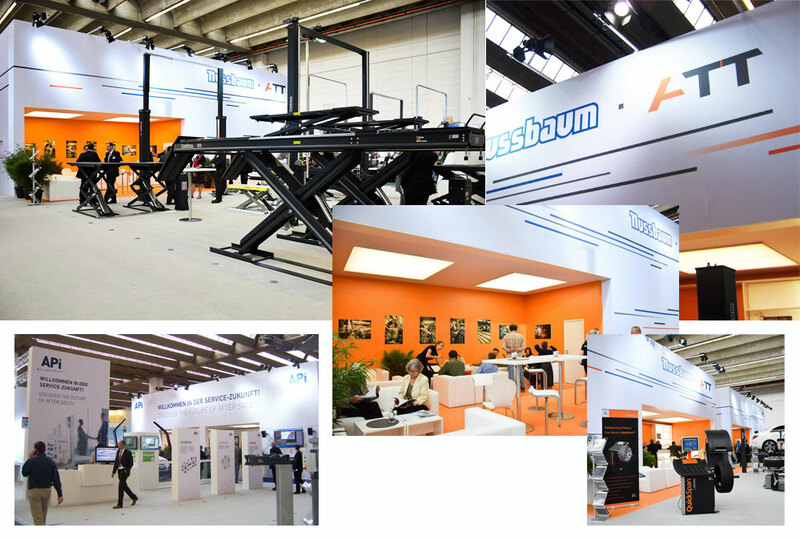 On an area of 800 m² Nussbaum and ATT present themselves as a world market leader in the automobile workshop equipment and API as an innovative service company for the entire vehicle. The large lounge together with the meeting area are integrated in the back wall and are designed in strong colours. The wall surfaces are printed on large panels. The fair concept impressed by its layout-design and clear arrangement.